We want MongoDB at Percona Live! One of the main goals of the Percona Live Data Performance Conference 2016 is celebrating and embracing the open source community. The community’s spirit of innovation, expertise and competition has produced incredible software, hardware, processes and products. 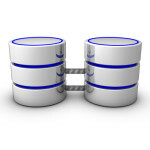 In this blog post, we’ll discuss some of the basics regarding Docker MySQL replication. Docker has gained widespread popularity in recent years as a lightweight alternative to virtualization. It is ideal for building virtual development and testing environments. The solution is flexible and seamlessly integrates with popular CI tools. In this blog post, we’ll discuss read-write split routing in MaxScale. The two previous posts have shown how to setup high availability (HA) with Maxscale using asynchronous replication and how we monitor replication. Now let’s focus on the routing module performing read-write splits. 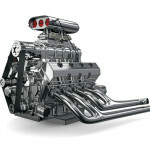 MySQL 5.7 primary key lookup results: is it really faster? This blog examines MySQL 5.7’s primary key lookup results, and determines if MySQL 5.7 is really faster than its early versions. In this blog post, we’ll discuss how shorter field names impact performance and document size in MongoDB. 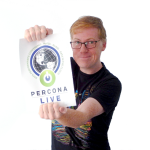 Percona Live featured talk with Stewart Smith: Why Would I Run MySQL or MariaDB on POWER Anyway? This blog discusses how TokuDB impacts InnoDB performance when the two run in the same environment. 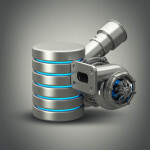 Webinar Thursday March 24: What MongoDB Storage Engine is Right for You?